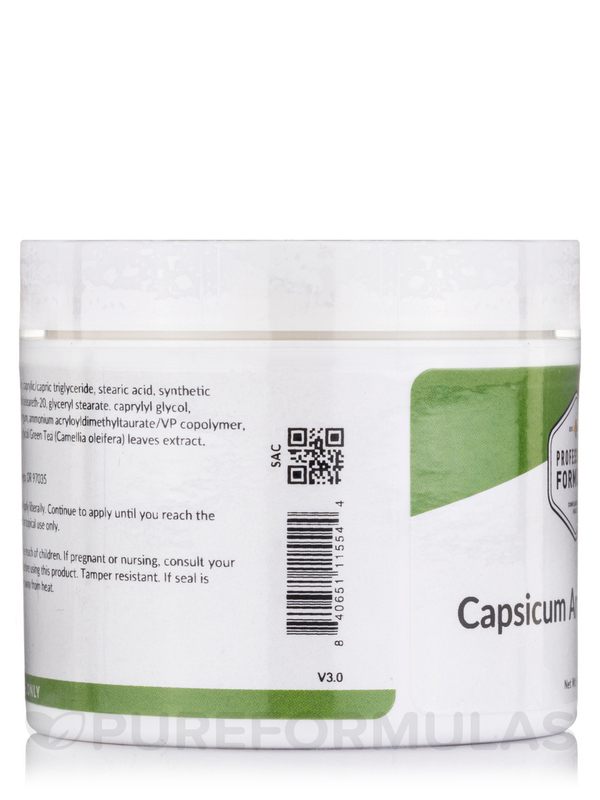 Capsaicin Arnica Cream by Professional Formulas helped enormously with residual nerve pain from a severe case of Shingles. Face and scalp. Lucky find for me. 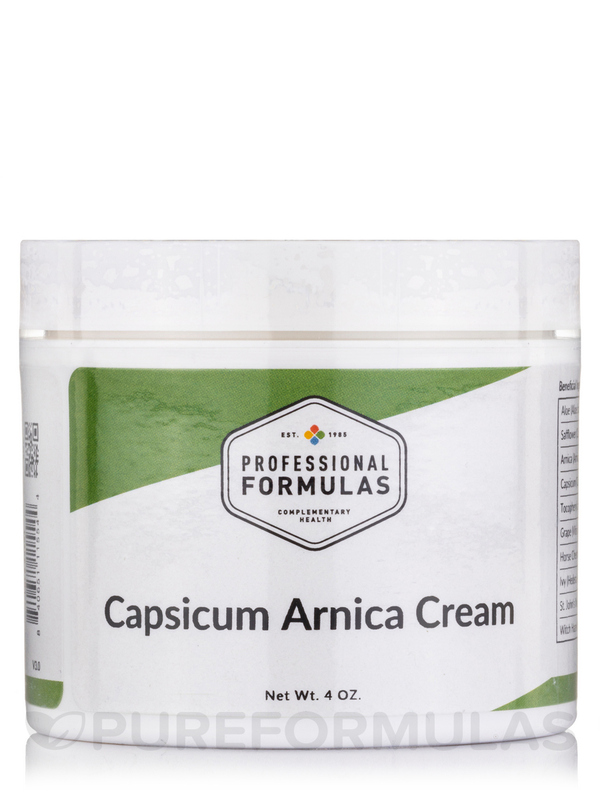 I cannot express the relief I recieved from this Capsaicin Arnica Cream by Professional Formulas, use it on my swollen painful hands also my knees, I recommend this product! 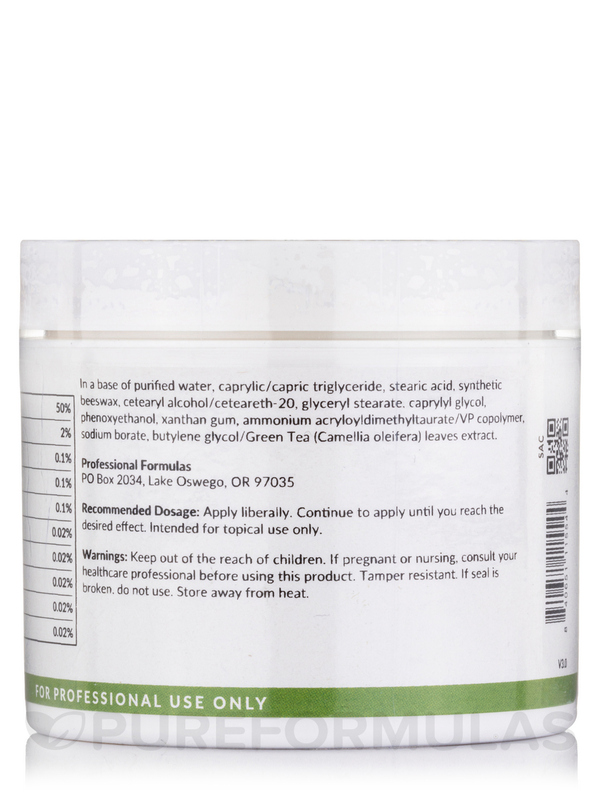 For relief from aches‚ pains‚ or sore muscles. 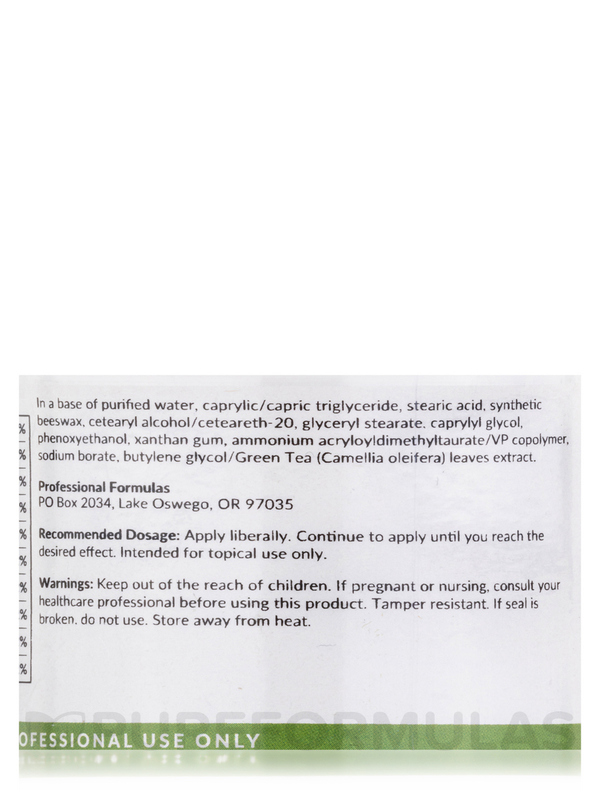 In a base of purified water‚ caprylic/capric triglyceride‚ stearic acid‚ synthetic beeswax‚ cetearyl alcohol/ceteareth-20‚ glyceryl stearate‚ caprylyl glycol‚ phenoxyethanol‚ xanthan gum‚ ammonium acryloyldimethyltaurate/VP copolymer‚ sodium borate‚ butylene glycol/camellia oleifera (green tea) leaves extract. Scientifically formulated product made from superior ingredients; quality controlled to ensure optimum potency‚ safety and efficacy. Apply liberally. Continue to apply until you reach the desired effect. Store in a cool dark area. Really helped with nerve pain!! 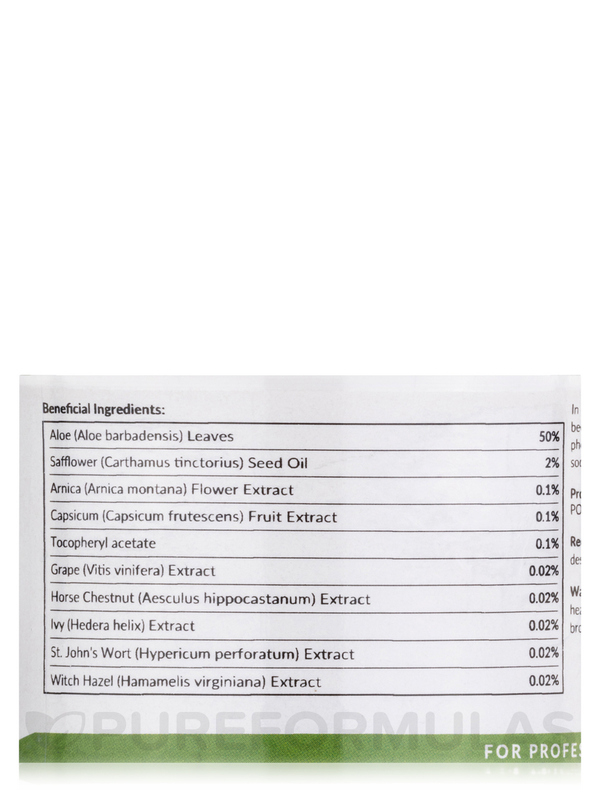 Ingredients include St. John’s Wort and Capsaicin but cream is not greasy. And does not burn! I think it could use a bit more Capsaicin personally. Otherwise no complaints. I love the speed this cream disolves into my skin. It does not last long enough. 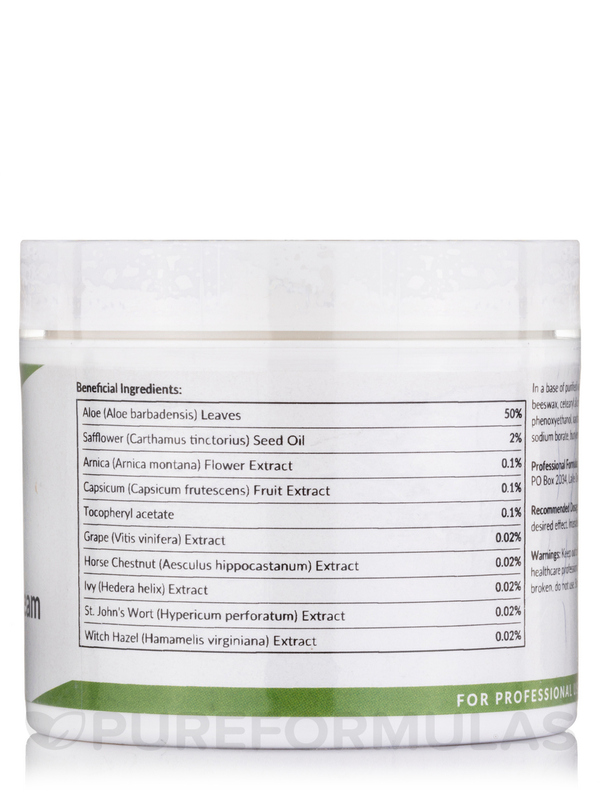 This Capsaicin Arnica Cream by Professional Formulas has help me with my lower back pain a lot. I recommmend it without any doubt. It should be offered in a bigger size.